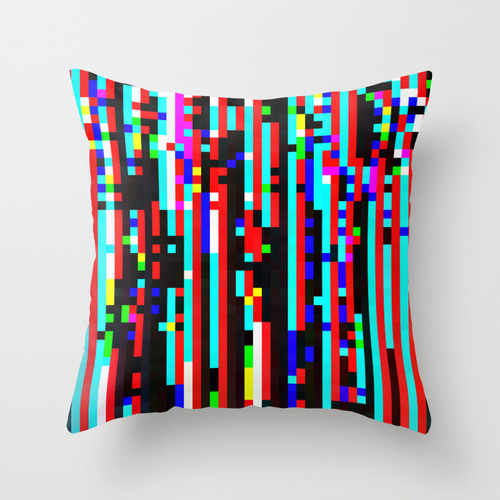 from the "things you never knew you wanted until now" files: glitch throw pillows! 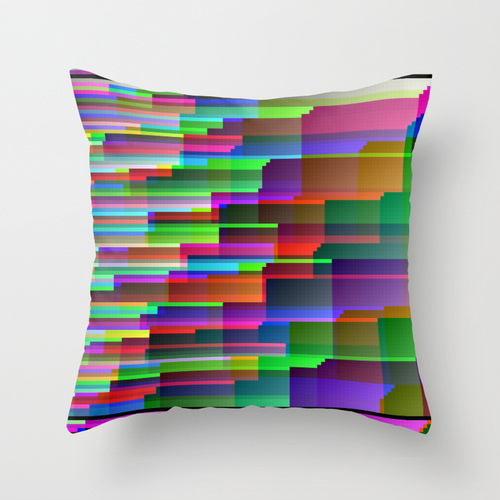 if you'd told me even a week ago that the most popular item In my society6 shop—more popular than t-shirts or laptop skins, even—would be throw pillows, i probably would've thought your prognosticator circuit was faulty. pillows aren't something i generally gave much thought to, let alone get excited about. and judging from the comments at this prostheticknowledge post, i'm far from alone there. on reflection, it makes perfect sense: these pillows are as big as an art print, but much more functional & practical, plus you don't have to worry about stuff like framing. and because they're offered by society6, a create-on-demand site that can make them at scale, they're more affordable than limited-edition products like notendo's glitch scarves or philip stearns's glitch blankets. and the timing couldn't be better: glitch is hotter than ever (it's even a core component of the latest hit disney movie, which i highly recommend)... and just in time for the holiday shopping season. the world is practically begging for a little piece of glitch pulled up from the matrix into their homes. Wowowow! Why is it so beautiful? I feel like I really want to live in such bedroom! 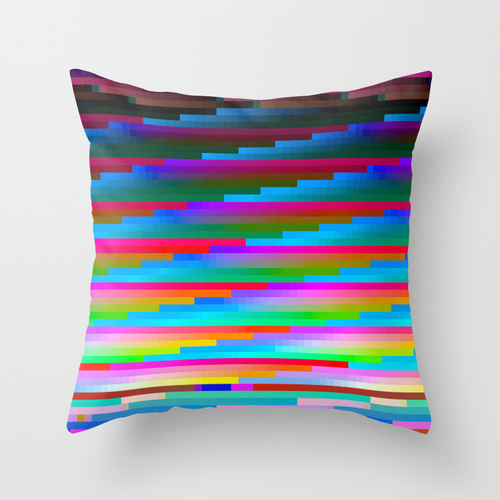 But I would have different pillows, if you want to know which ones, visit website and enjoy my choice.